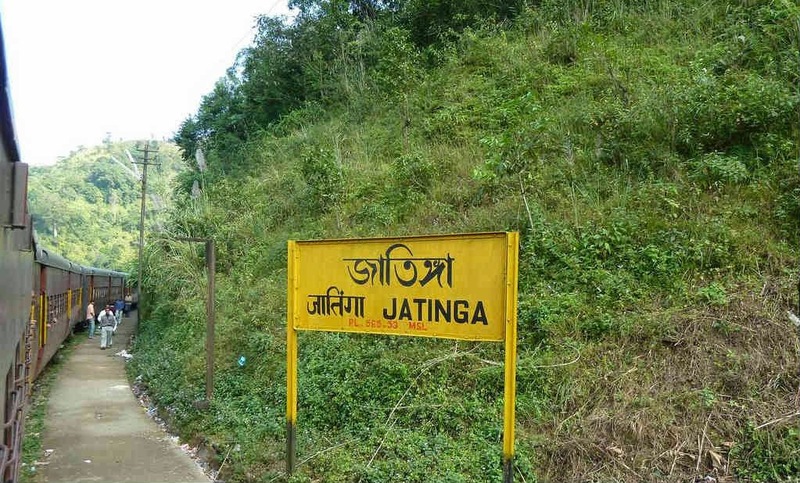 Jatinga is a mystic, beautiful, lush green village located on a ridge in the North Cachar Hills of Dima Hasao District in Assam at the foothills of the Borail range. 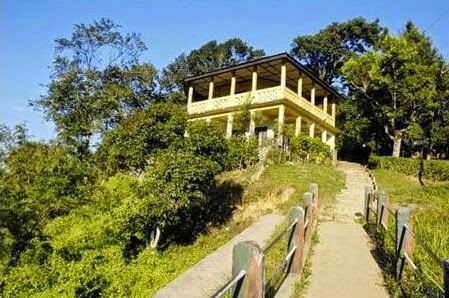 It is located in the vicinity of Haflong town which is the District Head Quarter of North Cachar Hills. 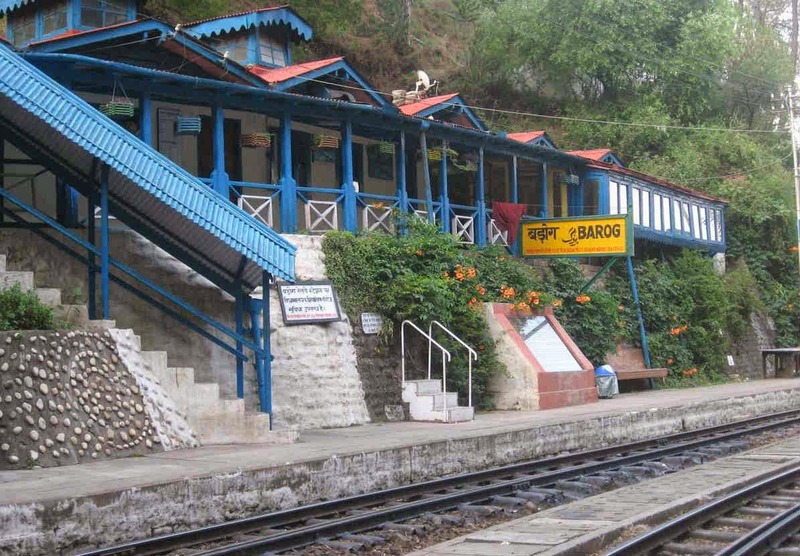 It is a popular tourist spot which is easily accessible by train, buses, taxis and auto-rickshaws. 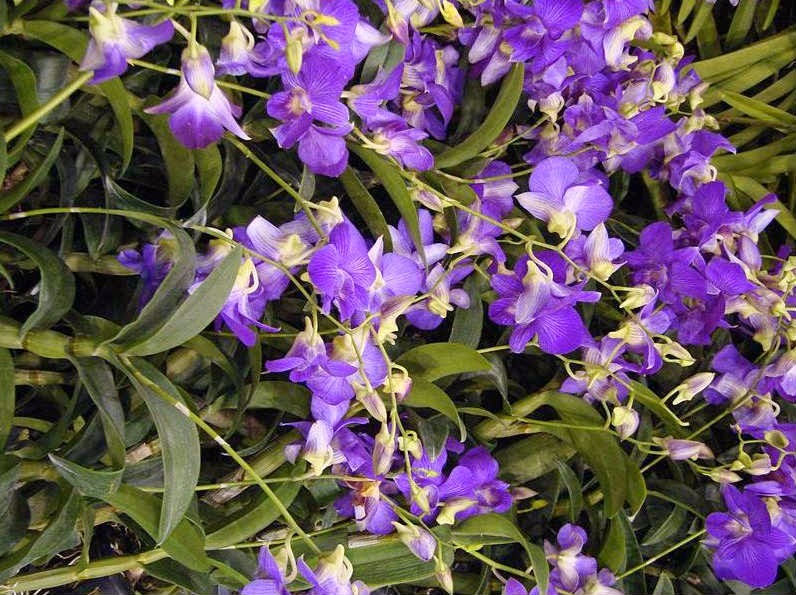 Decorated with blue Vanda Orchids during the flowering season, it is home to 2500 Dima Hasao population. 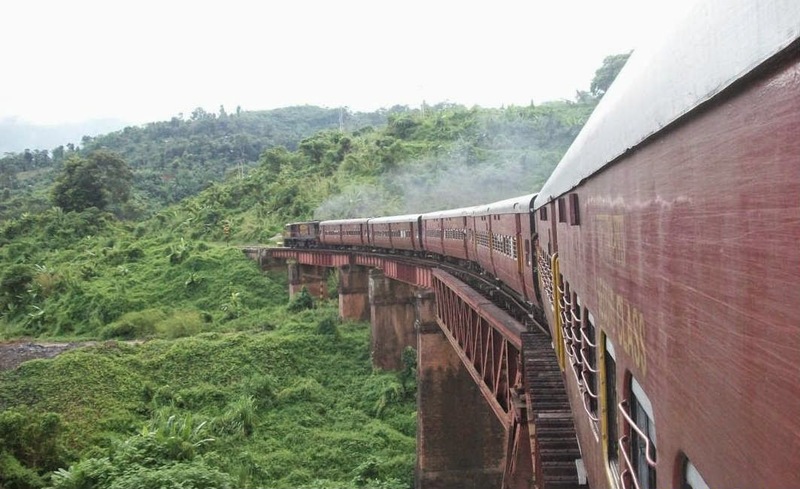 Jatinga is located about 330 km South of Guwahati – the commercial capital of Assam. The natives earned their livelihood mostly from forest products, specially cultivation of bamboo and export. Hunting was a part of their life and the juveniles were trained to adopt various hunting techniques. The mornings in Jatinga is illuminated by the spectacular sunlight peaking through the Hempeopet Peak. The Hempeopet Peak is the second highest peak in the mountainous terrain which gives tourists a marvelous view. Jatinga is famous for its orange orchards, beautiful orchid gardens, and its traditional tribal dances, and for the mysterious suicidal tendencies in birds. In fact, Jatinga is also called Death Valley for Birds due to the strange phenomenon of avian mass suicides. There is a bird watchtower in Jatinga from which one can witness the mysterious phenomenon, however prior permissions from district forestry office in Haflong is necessary. 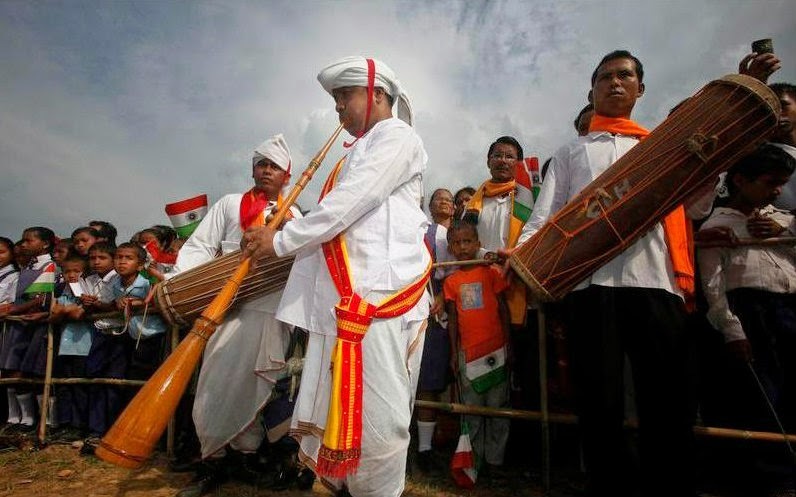 The Zeme Naga tribes were the natives of Jatinga, which was ruled by the Dimasa king. They were the first to witness the extraordinary behavior of the birds in which hundreds of birds seem to be attracted to their camp fires, descended from the sky and crashed to their deaths by colliding into the bamboos, trees, or other man made structures. Nowadays they also collide with buildings. This phenomenon is unique and happens in the late evenings during the late monsoon months of September and November. The tribals were frightened with this rare phenomenon. They believed that it was wrath of the Gods that the evil spirits and demons were falling to death from the sky in the form of birds. Thus they abandoned the village and the settlement was deserted. Around 1905, some wanderers of the Jantia tribe found Jatinga and its adjoining areas very suitable for beetle plantation and settled in the abandoned village under the leadership of Lakhanbang Suchiang. They came to know about the mysterious showering of birds when they were searching for their stray cattle in the night with lighted torches. The Jantia's considered the fatal attraction of the birds towards the lighted bamboo torches as a “Gift of God”. In late 1950's British tea planter and ornithologist E.P.Gee and Salim Ali visited this place to find out the cause of mysterious death of migratory birds. The first record of this mysterious phenomenon is found in the book Wild Life of India (1957) by E.P. Gee. Gee, a naturalist, wrote that the suicides of birds only at the specific spot is extraordinary. The phenomenon did not occur at the nearby places even if they were illuminated just like Jatinga. He also recorded the conditions required for this phenomenon - fog, cloud and mist. The incident happens in the late monsoon months between September and November in the late evenings mostly between 7:00 PM to 10:00 PM. It mostly happens in dark moonless nights with light rains when the South Westerly winds are blowing. Gee brought this mysterious phenomenon to the Global attention. 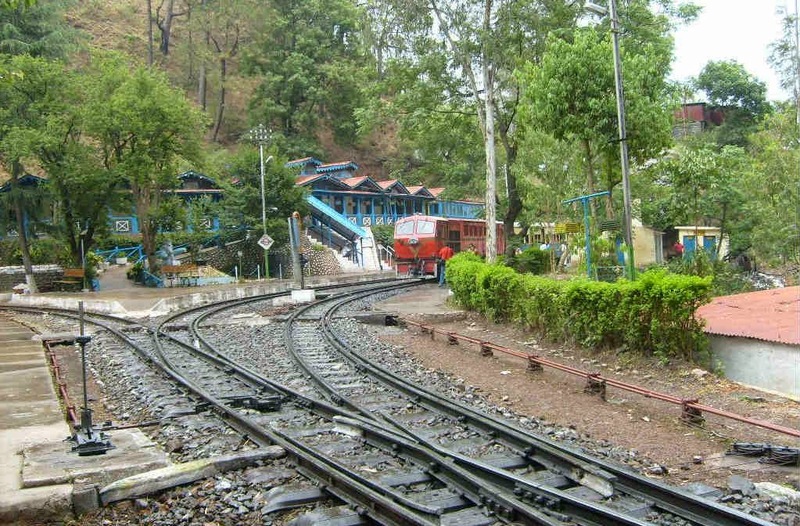 Jatinga became a popular tourist destination by the 1980's. The mystery of Jatinga attracts ornithologist from all over the world but the phenomenon still needs to be investigated and understood. 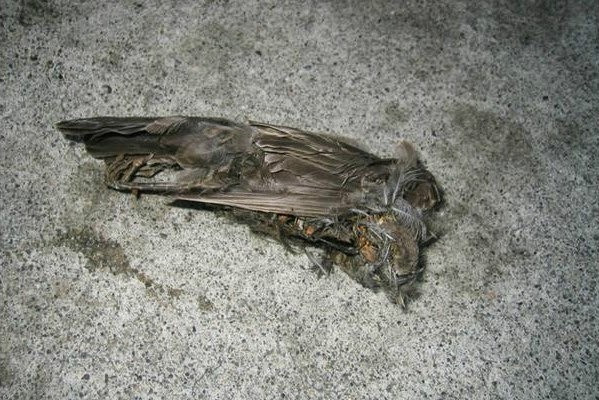 The most likely cause of mass avian suicides could be disorientation of the birds at high altitudes and high speed winds due to the widespread fog, which is common at the end of the monsoons. 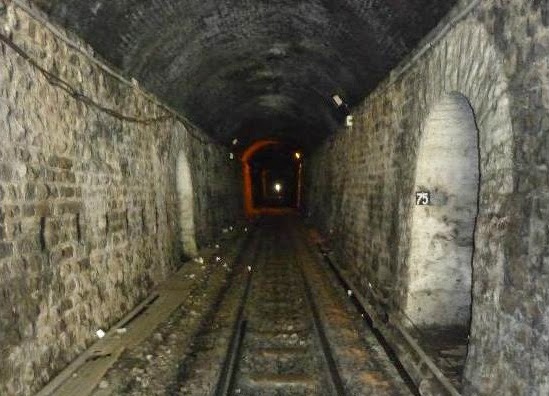 Dr. Sudhir Sengupta send by the Zoological Survey of India to investigate and unscramble the mystery strongly believes that the magnetic properties of subterranean water is altered by the atmospheric conditions of this terrain. These changes though invisible, affect the physiological rhythm of the local birds and they start behaving abnormally towards the sources of light which leads to the mysterious happening. Dr Anwaruddin Choudhury, one of Assam's best known ornithologist has recorded a vivid description of this phenomenon in his book The Birds of Assam. He has also compared similar incidents in Malaysia, Philippines and Mizoram. 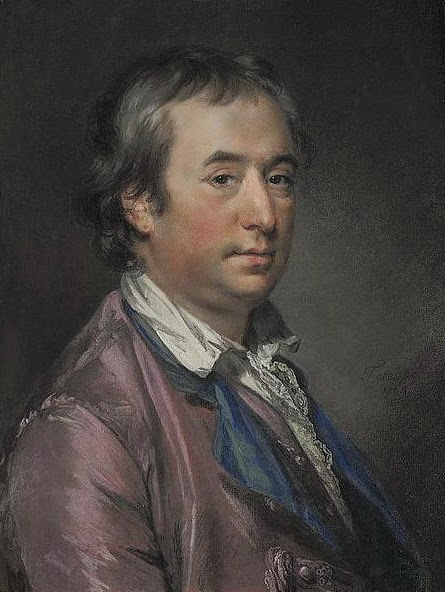 He inferred that high velocity of winds faze the shelter of the birds. The birds in distress, mostly juvenile and local migrants fly towards the lights to find refuge. On the way, they collide with bamboo poles, trees or such other sources and are either killed or injured seriously which contributes to their death. This extraordinary behavior is not confined to any specific species. Records prove that 44 species of birds are attracted to the lights including the Kingfishers (Oriental Dwarf Kingfisher, Ruddy Kingfisher, etc), Tiger Bittern, Black Bittern, Cinnamon Bittern, Little Egret, Indian Pond Heron, Chinese Pond Heron and Indian Pitta and many other exotic species of birds. However, it has been established that long distance migratory birds do not get attracted towards the light sources. 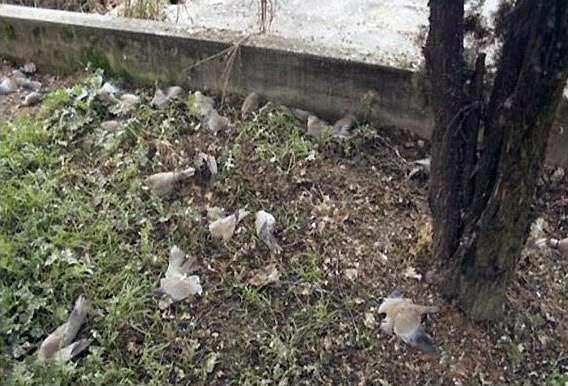 The victims are mostly nonmigratory birds of the adjacent valleys and hill slopes. It has also been established that the birds are attracted only to a distinct strip of land 1500 meters long and 200 meters wide. The birds mostly come in from the North and attempts to place light sources on the Southern edge of the Jatinga ridge has failed to attract them. The Statesman says that the birds are disoriented and fatally attracted to the lighted bamboo torches lit by the villagers. Some of these confused birds hover over the lights and are captured using bamboo poles or catapults by the locals and are killed for food, while others, bedazzled and disheveled land near the lights. Shocked by the trauma, they do not attempt to fly away and fall easy prey to the villagers. 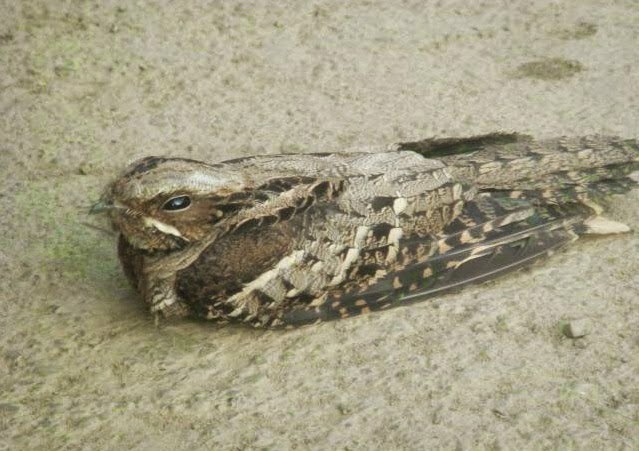 Various conservation groups and wildlife officials are creating awareness among the illiterate villagers to prevent motiveless killing of birds, which has reduced the deaths by about 40%. 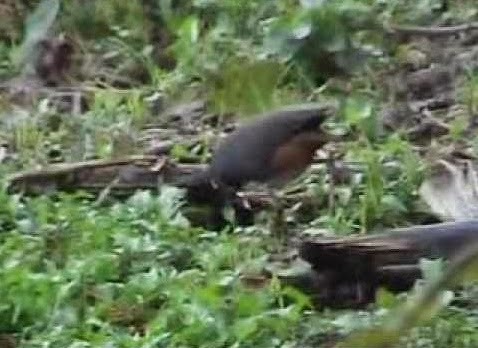 Not only the extraordinarily unusual behavior of the birds occur in peculiar weather conditions, the events are also co-related to their breeding periods. Heavy rains and flash floods submerge the natural habitat of the water birds, and force them to take refuge in neighboring areas. This seems to be common behavior since Jatinga valley falls on the migratory route of locally migrating birds. 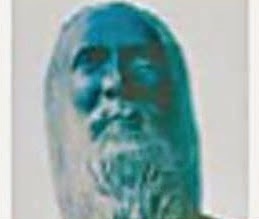 Some renowned ornithologists such as Dr. Salim Ali, Dr. Sudhir Sengupta, A. Rauf, etc have done extensive research on this strange phenomenon, but no hypothesis comprehensively explains the Jatinga mystery till date. Research is still in progress to unravel the mystery of Jatinga's unnatural phenomenon. 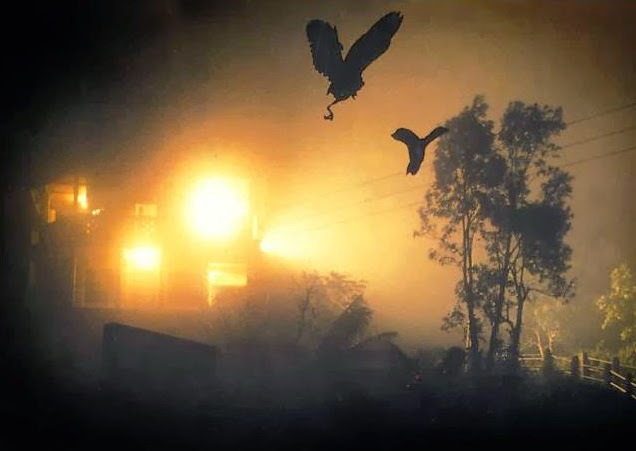 The Hindu on October 28, 2010 says, on a moonless night, when the mist and fog bearing South-Westerly winds blow over the Jatinga valley, different species of local migratory birds get attracted to strong light sources or “bird trap lights.” The phenomenon remains an unsolved mystery, with many theories doing the rounds. 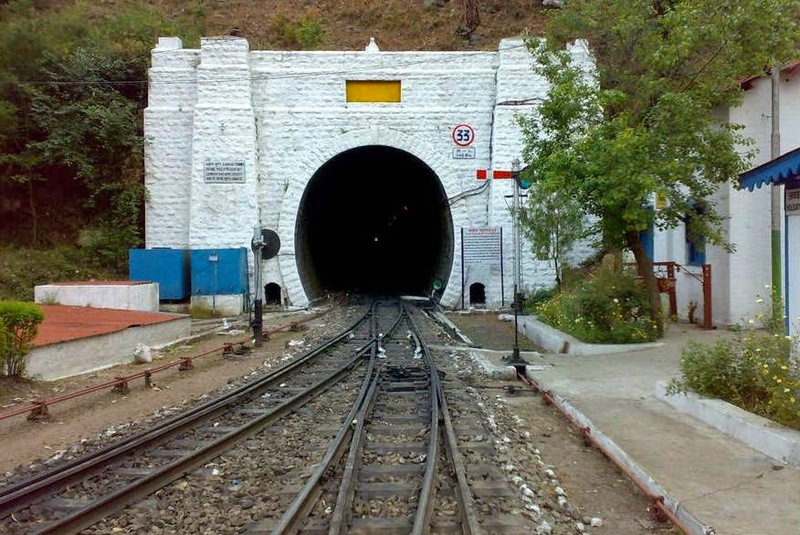 Kongka Pass also known as Kongka La is an elevated mountain route in the Chang-Chemno Range on the Line of Actual Control (LAC) between India and China. It is located at an altitude of 5,171 m (16,965 ft). Kongka La is a disputed area on the Indo-Chinese border of Aksai Chin. 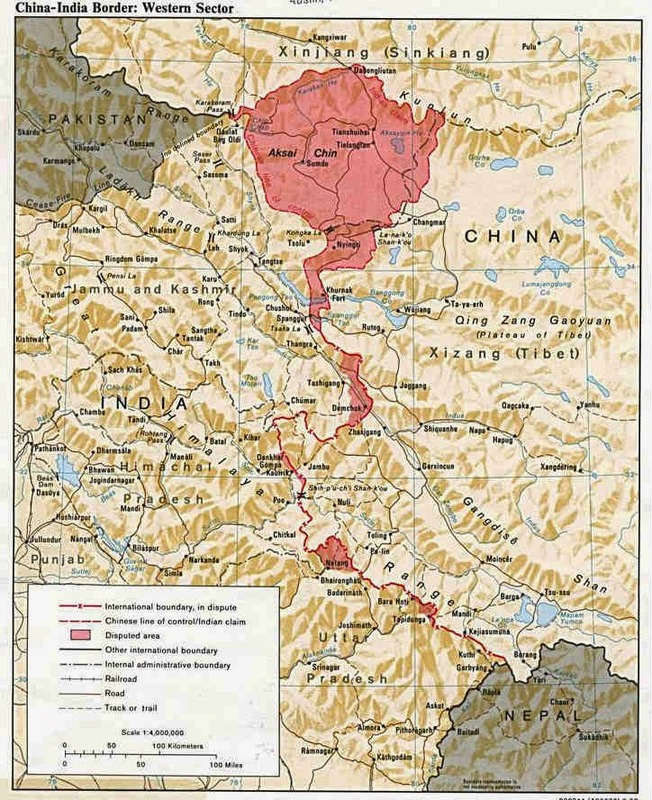 Indian considers Lanak Pass which is located further east as its boundary, while China considers the Kongka Pass as its boundary. 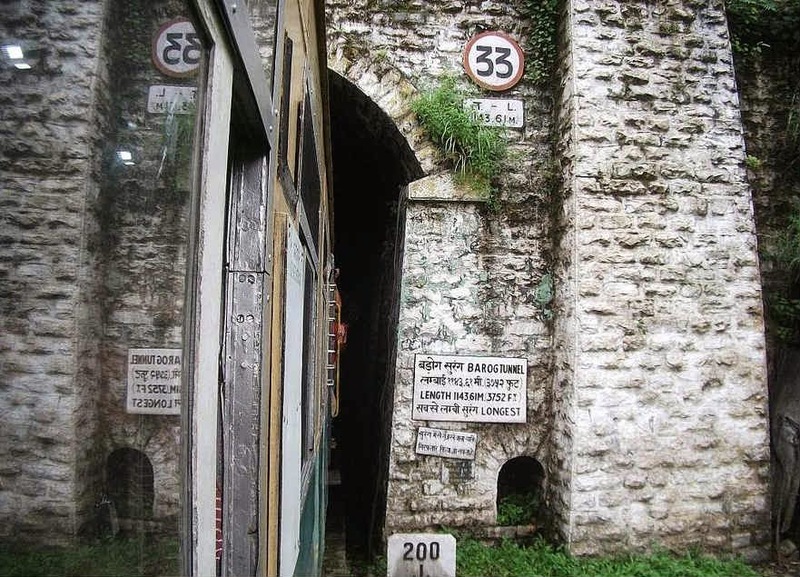 In October 1959, Indian patrol (CRPF) which consisted of seventy soldiers went to establish posts on Lanak Pass which India regarded as their boundry. However, they were confronted by their Chinese counterparts at the Konka Pass, where they had already established a post. Three Indians were captured and detained by the Chinese on October 20, 1959. Next day on October 21, 1959, nine Indian soldiers were killed and seven taken prisoner. The Chinese suffered casualties, with probably only one killed. As per the Indian report the Indian troops were ambushed from a hill top, while the Chinese said that the Indians tried to capture the Chinese patrol and opened fired. The Indian newspapers described the incident as "the brutal massacre of an Indian policy party". The events that precipitated in the years to follow finally culminated with the launch of massive Chinese invasion on 20 October of 1962 and the worst defeat the Indian armed forces have ever faced. Kongka La is one of the least accessible regions not only due to its high altitude, but also due to an agreement between both the nations which restrains the troops to patrol in this region. However, as per the recent reports the insursion of the Chinese troops in the isolated area created tensions between the two nations. The Kongka La region of Aksai-Chin is quite strange and mysterious. 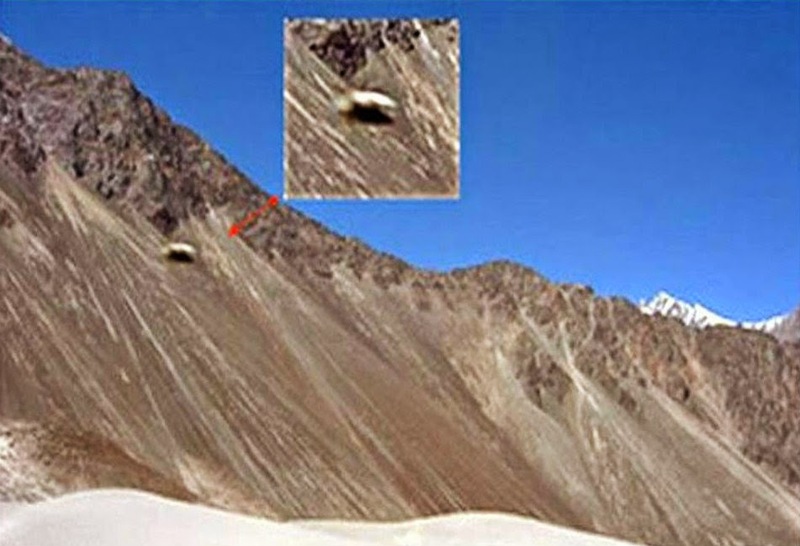 Indian troops including ITBP (Indo-Tibet Border Police Force) and Army has reported sightings of UFOs (Unidentified Flying Objects) in this area which were visible to the naked eye, but not reported by the radar. 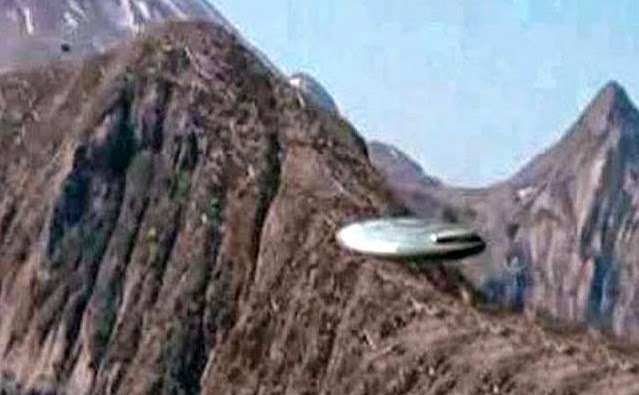 An ITBP unit posted at Thakung, which is close to Pangong Tso Lake had reported more than 100 UFO sightings in a period of over three months between August and October. In the reports sent to Delhi headquarters and the PMO, the officials described the sightings as “Unidentified Luminous Objects” visible both in day as well as night. The luminous objects spherical in shape appear to arise from the horizon on the Chinese side and slowly traverse the sky for three to five hours before disappearing. Those flying objects does not seem to be Unmanned Aerial Vehicles (UAVs), drones or even low earth-orbiting satellites. Drone sightings are verified and logged separately by the officials. The report was accompanied with some hazy photographs taken by the ITBP which proved their point. None of the agencies including Defense Research Development Organization (DRDO), National Technical Research Organization (NTRO), Army and the ITBP have been able to identify these luminous flying objects. There has been reports of multiple sightings of luminous objects by the army troops deployed along the Indo-Chinese border. Presently Indian Special Operations Forces and intelligence agencies are in charge of that area. Such mysterious lighting have also been sighted before in Ladakh, a barren, 86,000 sq km heavily militarized zone wedged between Pakistan-occupied-Kashmir and Chinese-occupied Aksai Chin. In order to examine the mysterious lights, the Army moved a mobile ground-based radar unit and a spectrum analyzer (a spectrum analyzer picks up frequencies emitted from any object) to a mountain top near the 160-km-long, ribbon-shaped Pangong Lake that lies between India and China. 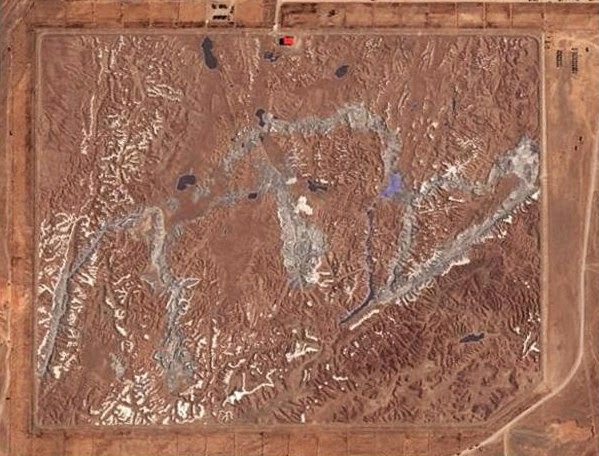 However, the radar failed to detect the mysterious object that was being tracked visually. This is a clear indication that the object was non-metallic. The spectrum analyzer failed to detect any signals being emitted from those objects. The Army also flew a reconnaissance drone towards the floating object, but it proved a ineffective exercise. The drone reached its maximum altitude but lost sight of the floating object. Later, a team of astronomers from the Indian Astronomical Observatory at Hanle, 150 km south of the Pangong Lake, studied the mysterious airborne phenomena for three days. The astronomical team spotted the flying objects, and established that they could be non-heavenly objects but could not identify them. 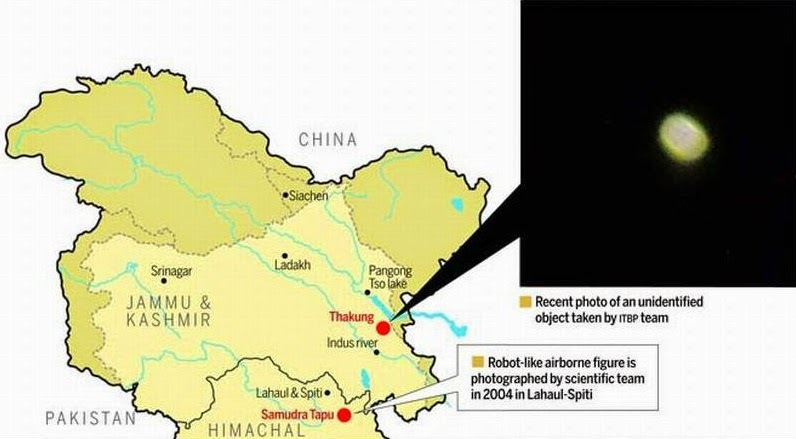 Some scientists believe that the mysterious objects are not necessarily from outer space and there has been no evidence of the extra-terrestrial origin of the UFOs, while the intelligence officials believe that the mysterious objects could be crude psychological activity by China, or sophisticated investigations attempting to determine India’s strength in Ladakh. In an another incident, a five-member group of geologists and glaciologists were on a research trip through the barren Samudra Tapu Valley. The team was led by Dr Anil Kulkarni of the ISRO’s Space Applications Center in Ahmedabad. 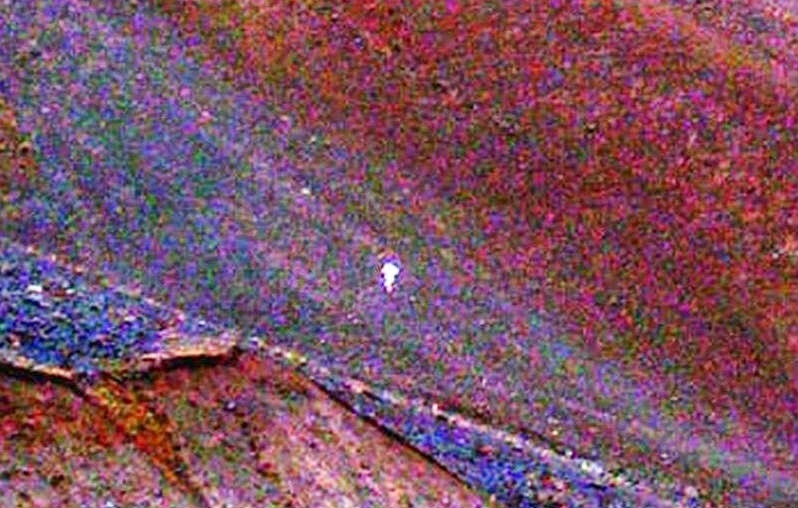 During their expedition, they filmed a four foot tall robot-like humanoid that walked along the valley, just 50 m away from them. The humanoid object then speedily became airborne and disappeared in the sky. The encounter lasted for about 40 minutes, and was witnessed by fourteen persons including the scientists. Dr. Kulkarni later verified this incident with all the team members, and submitted a detailed report to the PMO, ISRO, the Army and other intelligence agencies. The locals (both Indian and Chinese) say that the UFOs are often sighted emerging out of the ground. 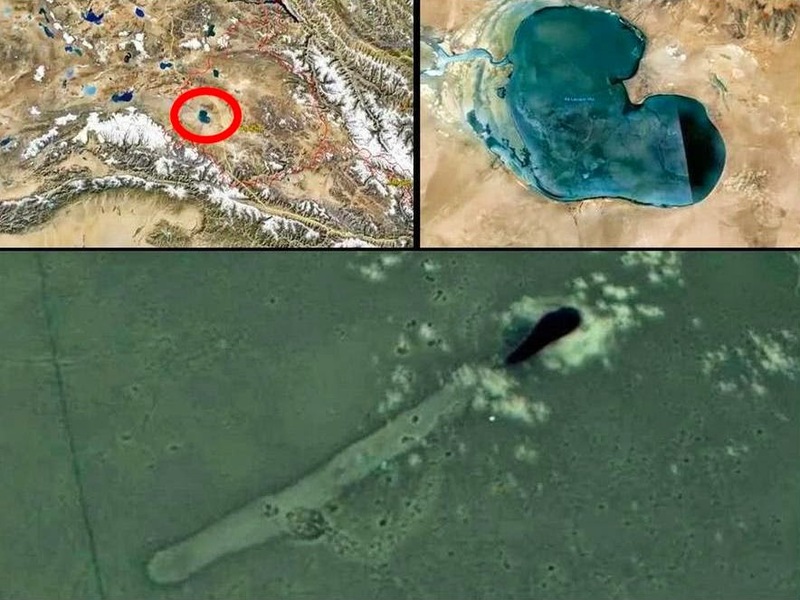 Most of them believe that there are underground bases of UFO in Kongka La and both the Indian and Chinese governments are well aware of this fact. On their way to Mount Kailash, some Hindu pilgrims noticed strange lights in the sky which looked like silent luminous crafts emerging out from the beneath the ground and moving vertically up towards the sky. According to the local guides, this is a normal phenomenon and there is nothing to be panicked. 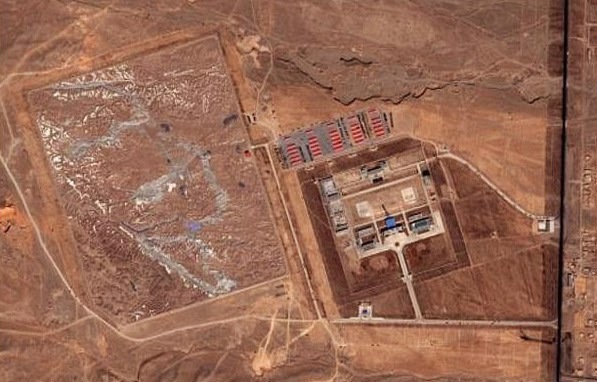 Some pilgrims tried to go and investigate the site, but were refused entry by both the Chinese and Indian soldiers in the restricted area. Detailed conversation with Indian security personnel revealed that the incidents of luminous UFOs with amplified and modulated lights emerging from underground are true. However, they had instructions not to allow any unauthorized personnel near the restricted area. The mysterious sightings of the UFO's has made the area dangerous and frightening. 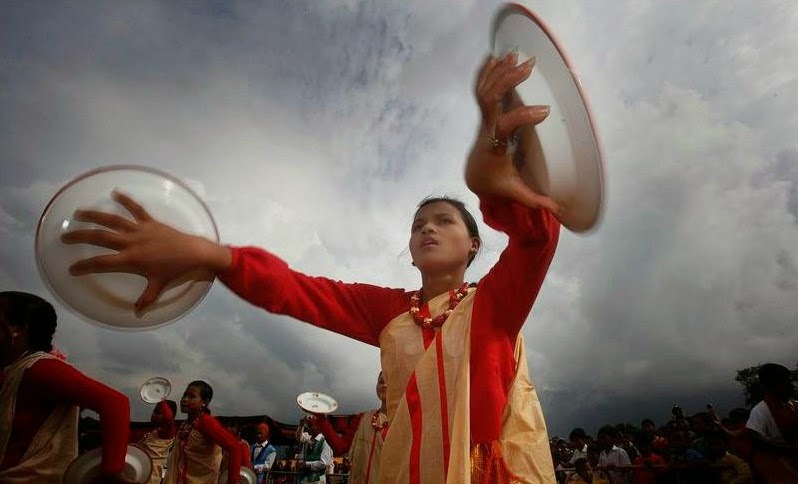 The natives believe that both the Indian and Chinese governments are well aware of the extra-terrestrial presence in the unknown depth of the Himalayas, but for some reason they do not want to expose the fact officially. Kongka La is the region where the Eurasian and the Indian Tectonic plates have converged to create convergent plate boundaries. This is one of the very few regions in the world where the depth of the earth crust is almost double than the normal depth. This gives the liberty of creation of underground extra-terrestrial bases deep into the tectonic plates. However, for some strange, unknown reasons, neither the Chinese nor the Indian government had ever tried to excavate the area even though Kongka La is enriched with granites and beautiful rocks. After wining Aksai-Chin from India in the 1962 Sino-Indian war, China had built a strategic military highway which is not used now a days. Instead, they use an alternate highway and do not want to infiltrate the Kongka La region. It should also be noted that in a drawing competition held in a local school, more than half of the students drew strange objects emerging out of the ground and flying in the sky. Most of the UFO researchers believe that there exists some UFO bases hidden deep under the ocean and the ground. It may be possible that the harsh geography and sparse demography of the great Himalayan range that separates Kashmir Valley from Ladakh, lends itself to unusual sightings. The sighting of the mysterious unidentified objects are an unforgettable experience. These unsolved mysteries need to be investigated more thoroughly. 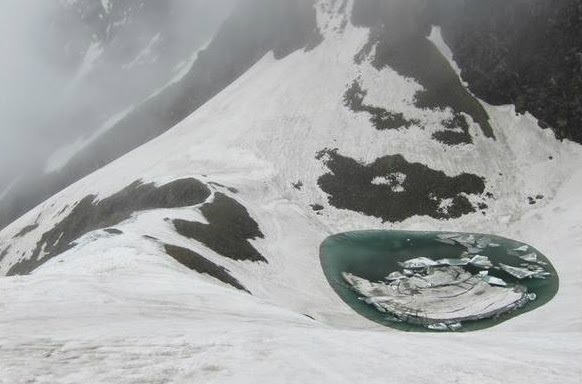 Roopkund is one of the most picturesque and enchanting clear water glacial lakes in the Himalayas, surrounded by snow covered mountains and glaciers. 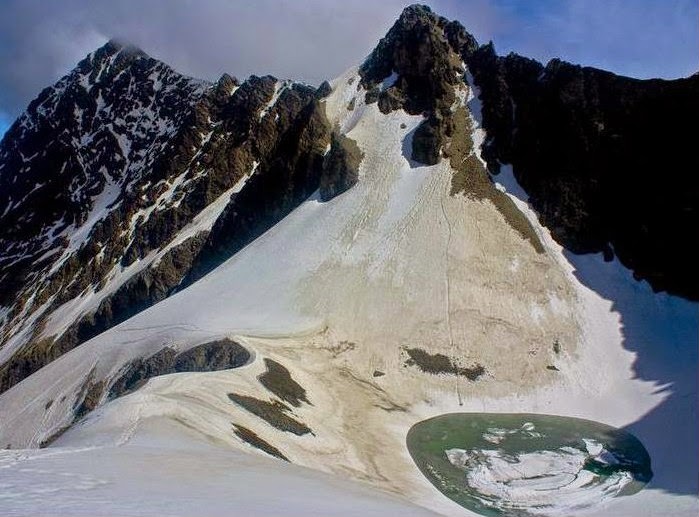 It is located in an uninhabited region (the nearest human settlement is almost 35 km away) in the area of Trishul massif in Chamoli district of Uttrakhand in India at an altitude of 5,029 metres (16,499 feet). Located in close proximity of two Himalayan peaks: Trisul (7120 m) and Nanda Ghunti (6310 m), Roopkund is one of the most important places for trekking in Garhwal district. 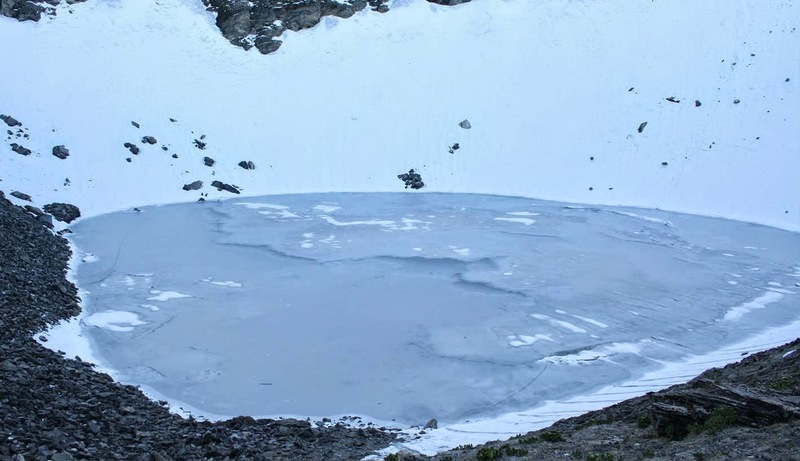 Roopkund is a shallow lake with a maximum depth of about 2 meters and is frozen for most of the year. 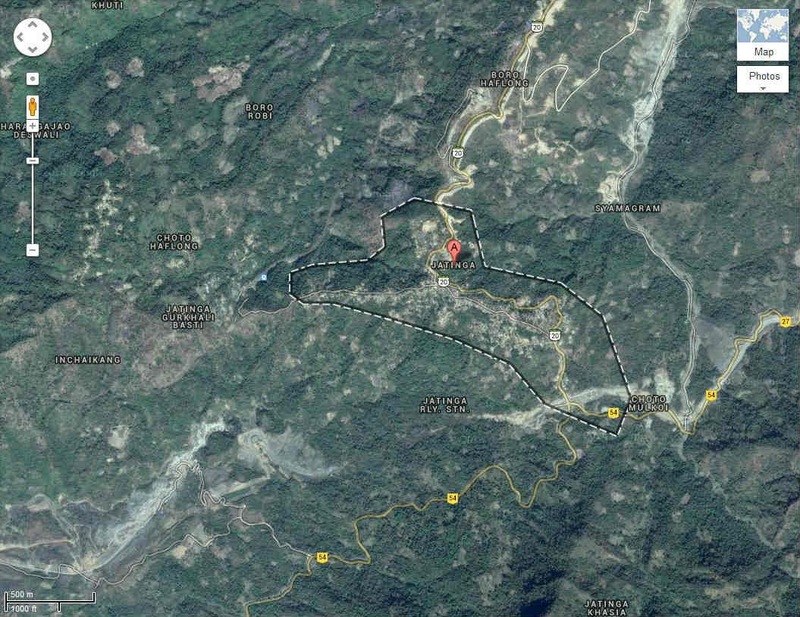 It has become infamous after a Nanda Devi game reserve ranger Mr. H K Madhwal made a shocking discovery in 1942. He discovered hundreds of human skeleton scattered in and around the crystal clear water of the lake. The skeletons are mostly visible during the months of summer mostly for one month when the snow in the lake melts. The extremely low temperatures, and frozen climate at this high altitude has noticeably preserved hairs, nails, soft tissue, and leather accessories giving an impression of a recent tragedy. 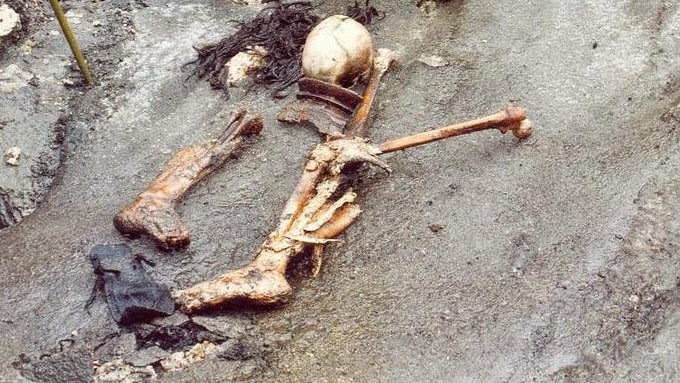 Some of the skeletons were so well preserved in the frozen lake that it still had flesh attached. 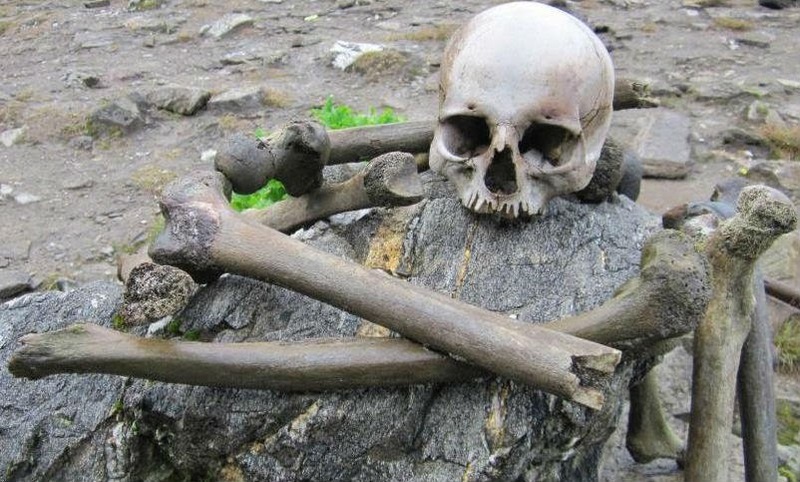 This fact was established when a team from National Geographic retrieved about 30 skeletons from the lake for creation of the documentary - Riddles Of The Dead: Skeleton Lake. 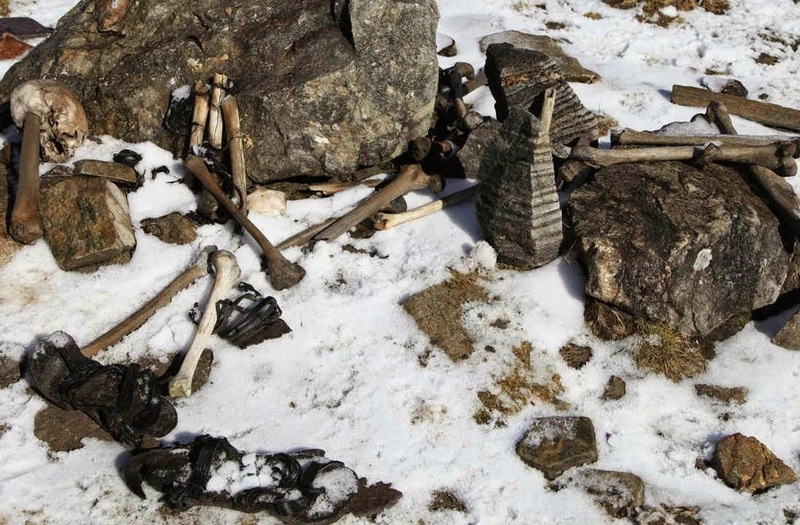 Rings, leather slippers, wooden artifacts, iron spearheads, etc had also been discovered along with the human skeletons in the icy ground. After some research and studies, it was established that all those skeletons dated back to 9th century AD (about 1200 years old). 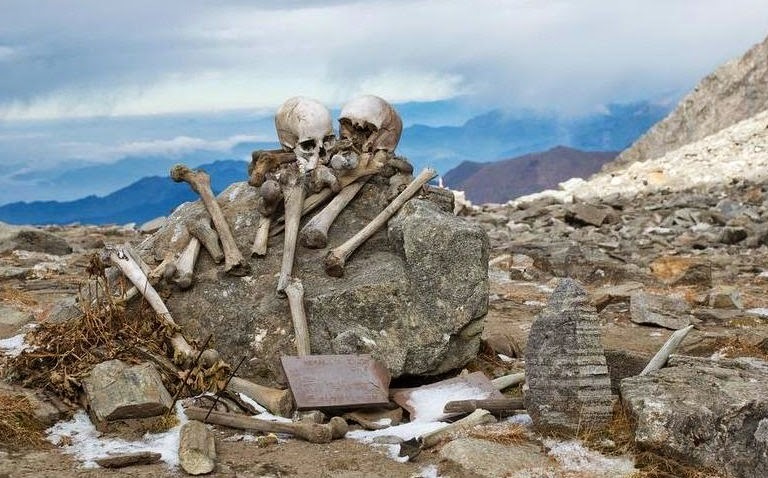 Roopkund lake is also known as the “Mystery Lake” for the puzzling occurrence of several hundred human skeletons in the lake and its vicinity. Initially it was thought that the Japanese soldiers met a tragic fate while advancing in India during the invasion of World War II, however, it was later clarified that those skeletons were of Indian origin. According to a tale, General Zorawar Singh of Kashmir and his troops were returning from the battle of Tibet in 1841. Unfortunately they were trapped in bad weather and lost their track. 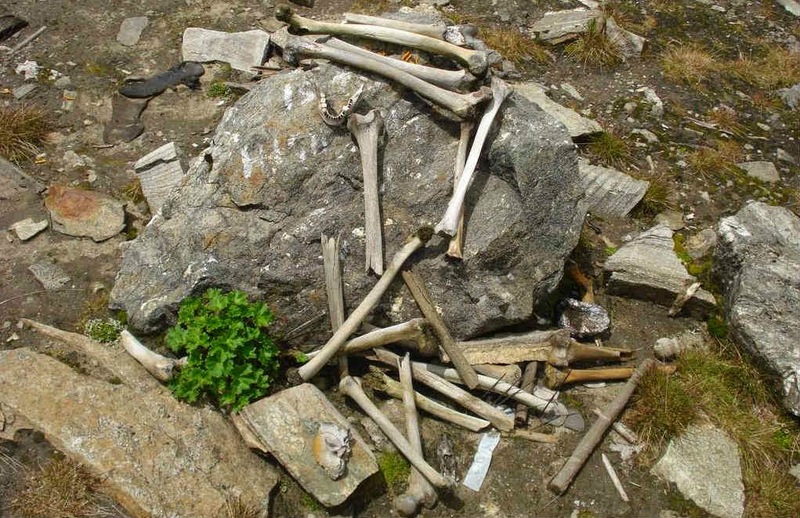 They cannot withstand the adversaries of the nature and died in Roopkund. According to some other school of thoughts, the possibility of an epidemic or a suicidal ritual performed near the lake cannot be ignored. 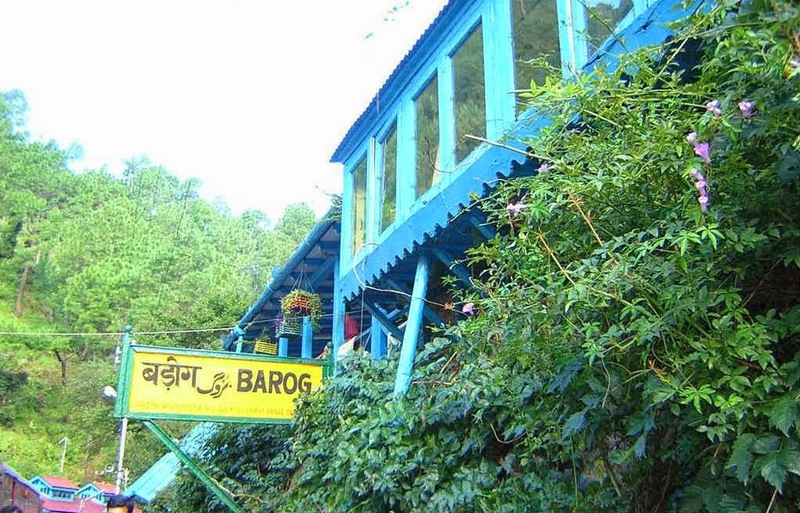 According to the local belief Raja Jasdhaval, the King of Kannauj with his pregnant wife Rani Balampa were going on a pilgrimage to Nanda Devi shrine to celebrate the birth of their heir. They were accompanied by dancers, musicians, servants, and soldiers and other honorable people. The King rejoiced and enjoyed spirited singing and dancing on route to the pilgrimage, instead of being serene and focusing on his goal. The processing earned the fury of the local deity, Latu. On the way to Nanda Devi shrine they faced a perilous hailstorm with hailstones as large as a cricket ball. 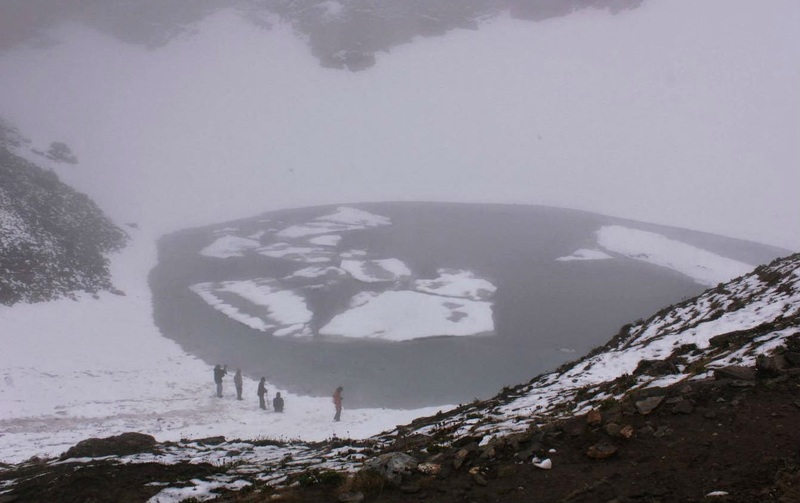 The entire caravan was trapped in the middle of the hailstorm in the uninhabited region and were thrown into the Roopkund lake. 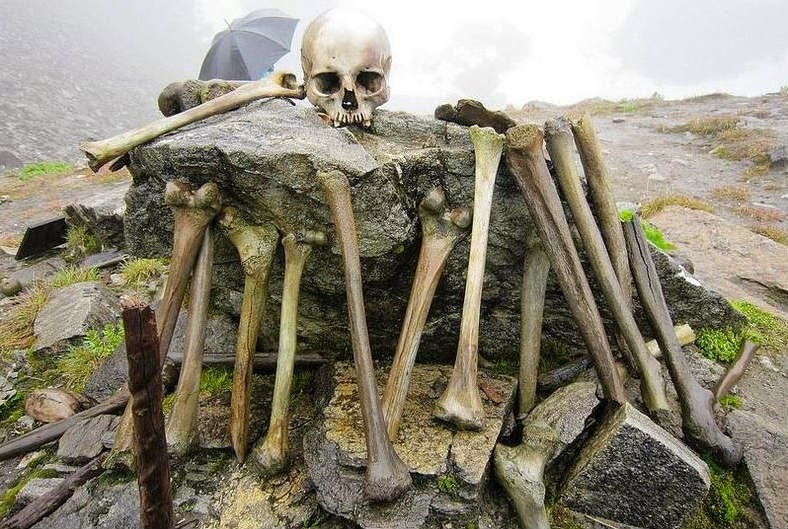 More than 300 human skeletons have been found in and around the Skeleton lake (Roopkund lake is also commonly known as Skeleton lake). During 1950's, the Anthropological Survey of India conducted a study of the skeletons, some of the samples of which are displayed at Anthropological Survey of India Museum, Dehradun. The bones were examined in Radiocarbon Accelerator Unit at the Oxford University in 1960, which ascertained that they belonged to 850 AD (with 30 years margin of error). 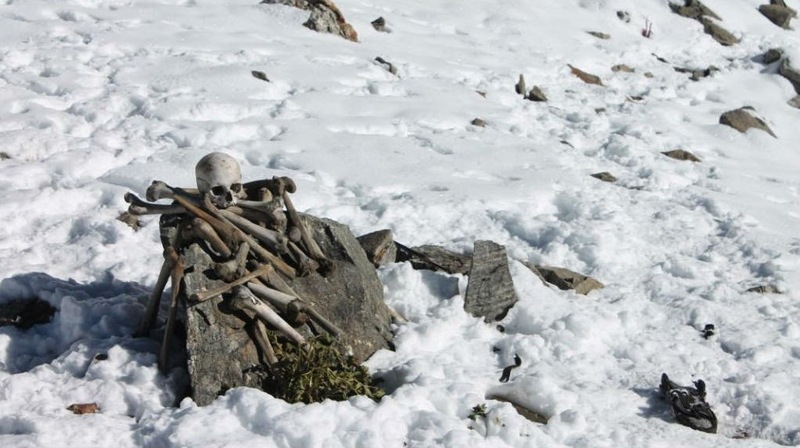 Recent scientific research uncovers the fact that the skeletons at Roopkund belonged to disparate groups of people. CCMB (Centre for Cellular and Molecular Biology) during their research examined DNA of 31 samples of bone and muscle taken out from the remains and found three samples with unique mutation in mitochondrial DNA (not found anywhere in the world except Maharashtra), which matched with those of the Konkanastha Brahmins (Chitpavans) from Maharashtra. Two samples matched with the Garhwali's. Taller Group – these people may have been of the same community and closely related to the Chitpavans. 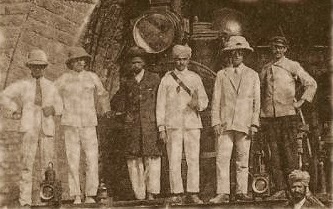 Shorter Group – these people may have been hired as local porters and guides. Most probably they were Mongoloid hill people of the Himalaya. Historical evidence of any trade route to Tibet in this area does not exist. 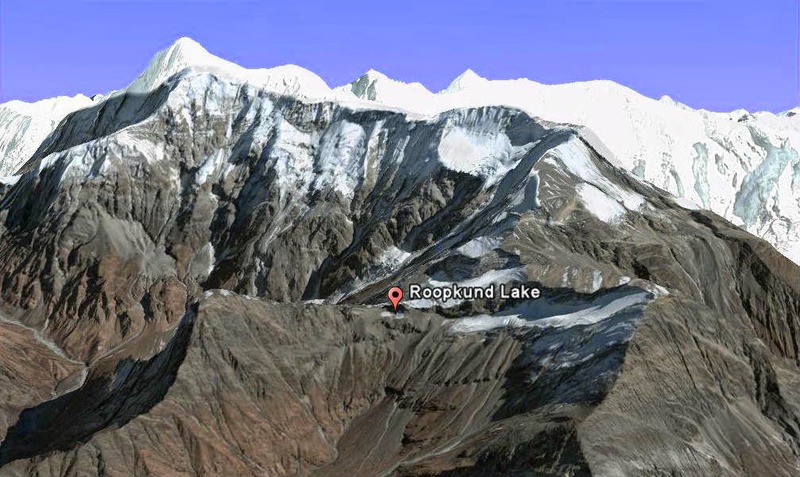 Roopkund is located on the route to Nanda Devi shrine. So, it is quite evident that the procession was heading to the Nanda Devi shrine most probably to participate in the Nanda Devi Raj Jat festival which is celebrated every twelve years. According to Subhash Walimbe, Professor and Head (Retired), Department of Anthropology, University of Pune, there were lots of skulls which showed short deep cracks, not caused by a landslide or avalanche, but by blunt, round objects about the size of cricket balls. According to Walimbe, “The only plausible explanation for so many people sustaining such similar injuries at the same time is something that fell from the sky. The injuries were all to the top of the skull and not to other bones in the body, so they must have come from above. Our view is that death was caused by extremely large hailstones”. 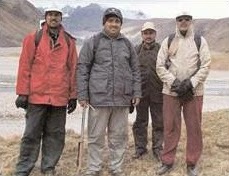 Subhash Walimbe was a member of the team that visited Roopkund. Subhash Walimbe was Academic Consultant for the National Geographic Channel film titled “Skeleton Lake” released in 2005. Wolfgang Sax, also a part of the team and an anthropologist at Heidelberg University in Germany, mentioned a traditional song among the tribal Himalayan women which explains a deity so enraged at outsiders who disturbed the peace and serenity of her mountain sanctuary that she down poured death upon them by flinging hailstones “as hard as iron”. Scientists discovered surprising pattern of marks in all the skeletons, in which the skull and upper torso were inflicted with similar sharp blows. It was concluded that the prevalent head and shoulder injuries and absence of injuries to other parts of the body were indicative of impact from large round objects, possibly cricket ball sized hail stones falling from the sky. It is now proposed that the whole procession was severely injured in an intense hailstorm in which people were bombarded with large hailstones estimated to be 9 inches in diameter. 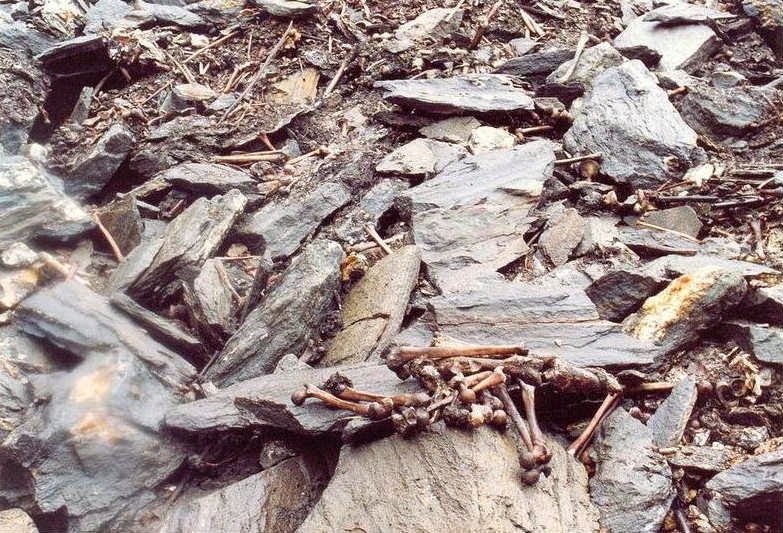 The people were trapped in the uninhabited valley with no protective covering, which resulted in an inexplicable collection of skeletons. Their remains were concealed in the glacial valley, freezing for the next 1200 years until their gruesome discovery. According to the historical records, 230 people were killed in a very severe hailstorm which occurred on April 30, 1888 in the Northern districts of India. The hailstones accumulated up to two feet high and were as big as oranges. Freakish hailstorms with large hailstones are most common in the Deccan Plateau of India and in Bangladesh. Recently 9 people were killed in a severe twenty minute hailstorm in Andhra Pradesh. It's quite unfortunate that there have been absolutely no collaborative effort to protect this region. 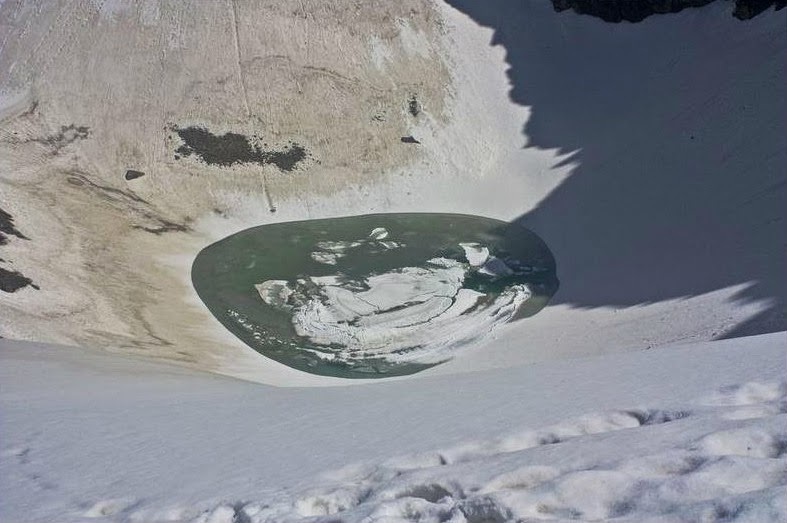 The skeletal remains of the Roopkund lake is getting lost day by day. It needs the attention of the administration to establish as an international tourist spot. The Taj Mahal Palace Hotel is located in Colaba in Mumbai. It is a five star hotel in close vicinity of the Gateway of India and contains 560 rooms and 44 suites. The hotel consists of two prominent and distinct buildings - The Taj Mahal Palace and a Tower. Both these buildings are quite different in their architectural styles and were built at different times. The most prominent guests in the Taj Mahal Palace have been The Beatles, Jacqueline Kennedy Onassis, Bill Clinton, Jacques Chirac, The King & Queen of Norway, The Duke & Duchess of Kent, The Duke of Edinburgh, The Prince of Wales, Roger Moore, Joan Collins, Mick Jagger, Angelina Jolie, Brad Pitt, Deep Purple, Michael Palin, Hillary Clinton, Barack Obama, Michelle Obama,and Oprah Winfrey, as well as professional cricket teams on tour. The original building of the Taj Mahal Palace Hotel was built in Indo-Saracenic style by Jamsedji Tata. It was inaugurated and opened to guests on Wednesday, 16th December 1903. Once Jamsedji Tata was refused entry in one of the grandest of all the hotels in Mumbai - the Watson's Hotel. Watson's Hotel was restricted to WHITES ONLY. Being hurt by this incident, he decided to build his own hotel which was planned to be better than the best. However, this view has often been challenged by some learned men, who believe that Tata could not have been nursing revenge in his heart against his British adversaries. 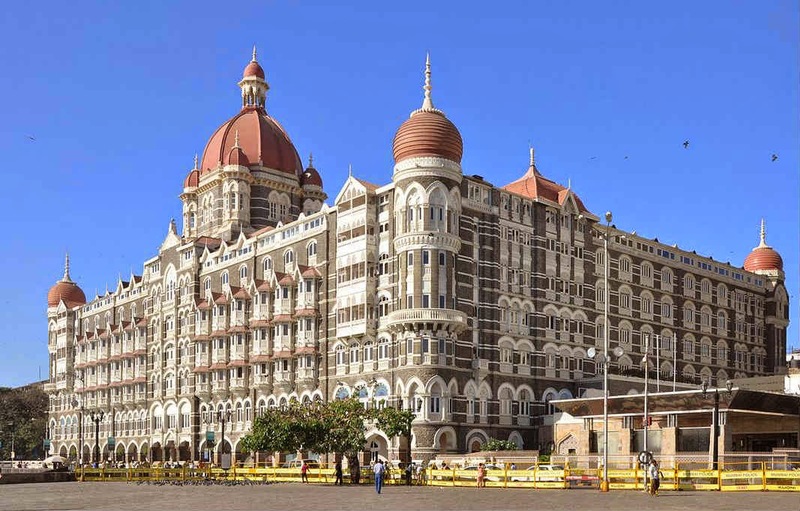 They suggest that Jamsedji Tata built the Taj Mahal Palace Hotel on the requests of the editor of The Times of India, who felt the necessity of a good hotel that could be "worthy of Bombay". Historian Sharda Dwivedi, argues that for a businessman like Tata, this would hardly have been reason to invest his own money in an industry he knew nothing about. She writes that the Taj was built at the time of a huge plague epidemic that started in 1896 and was threatening Bombay’s fortunes. Tata set up the hotel “purely for the love of the city”. While the original architects of the building were Siddhesh S., Sitaram Khanderao Vaidya and D. N. Mirza, the project was later completed by an English engineer, W. A. Chambers. Chambers’s only design contribution was to increase the size of the central dome when he took over after Vaidya’s death. Khansaheb Sorabji Ruttonji Contractor was the builder of the infamous monument who also built an architectural marvel - the Floating Staircase with the expense of £250,000 (about £127 million today). The hotel uses the same grade of steel in its dome as is used in the Eiffel Tower. To create a marvelous structure, Jamsedji Tata imported the same steel during that period. For the first time in India, the Taj Mahal Palace Hotel imported German elevators, American fans, Turkish baths and English butlers. It was the first in India to install and operate a steam elevator. During World War I, Jamsedji Tata allowed the hotel to be converted into a 600 bed hospital. It was also the first building in Mumbai to be fully electrified. Because the courtyard faces inward, away from the sea, there’s always been a rumour that the hotel was constructed back-to-front, that the architect approved the layout when on holiday without noting the direction the structure was facing and jumped to his death from the fifth floor when he returned and realized his error. In truth, it seems the Taj was built facing away from the harbor because Tata wanted the rooms to look out to the sea, a practice unheard of in India. There is a widespread misconception that the architects' building plans were confused by the builder so that he built it facing away from the harbor. The part of the hotel facing the harbour is actually its rear portion, while the front-side of the hotel faces away to the West. The myth is now believed to be untrue as the hotel was deliberately built facing inland and not towards the harbour. 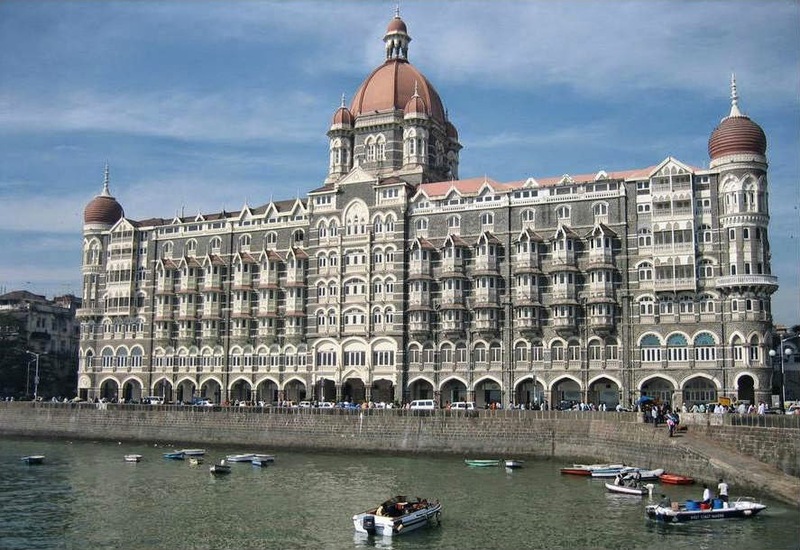 It seems the Taj was built facing away from the harbour because Tata wanted the rooms to look out to the sea. The other possible reason of building the monument facing inland was the horse carriages which carried the hotel guests could approach the hotel more easily from the city. Then carriages were then taken to Wellington Mews, which has now been converted into luxury service apartments operated and owned by the Taj group. About 45 years ago, the front side of the hotel was closed. Since then, the harbor side entrance is made accessible. 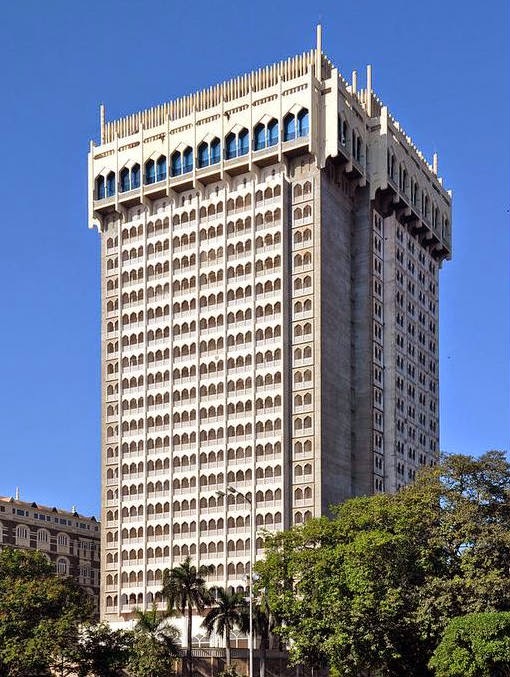 During the 70's, the Taj Mahal Hotel purchased Green's Hotel at the Apollo Bunder, Collaba, Mumbai and later demolished and created the Tower wing at the same place. Due to its low cost, the Green's Hotel was very popular among sailors and was well known and notorious for its wild parties. During the able administration of the General Manager Mr. Jamshyd D. F. Lam (Retd. 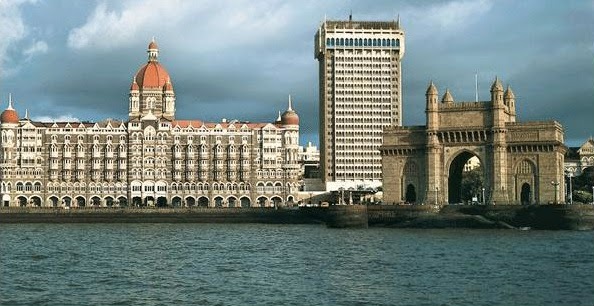 Sr. Vice President IHCL) of the Taj Group from 1980 to 1985, the Taj Mahal Palace Hotel & Tower was ranked as the fifth best hotel in the world for two consecutive years. In the prestigious Conde Nast Traveller Readers' Travel Awards of 2010, the Taj Mahal Palace Hotel & Tower was ranked 20th in Asia. 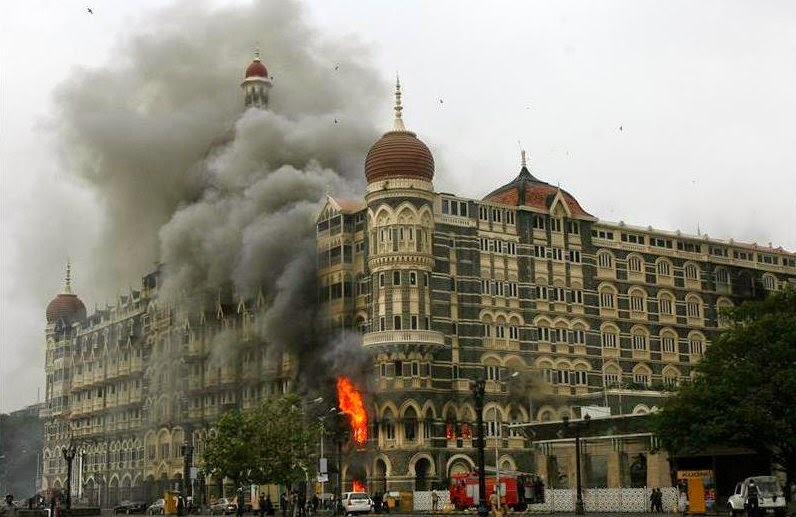 The Taj Mahal Palace Hotel was attacked on Wednesday, 26 November, 2008 in a series of terrorist attacks in Mumbai. 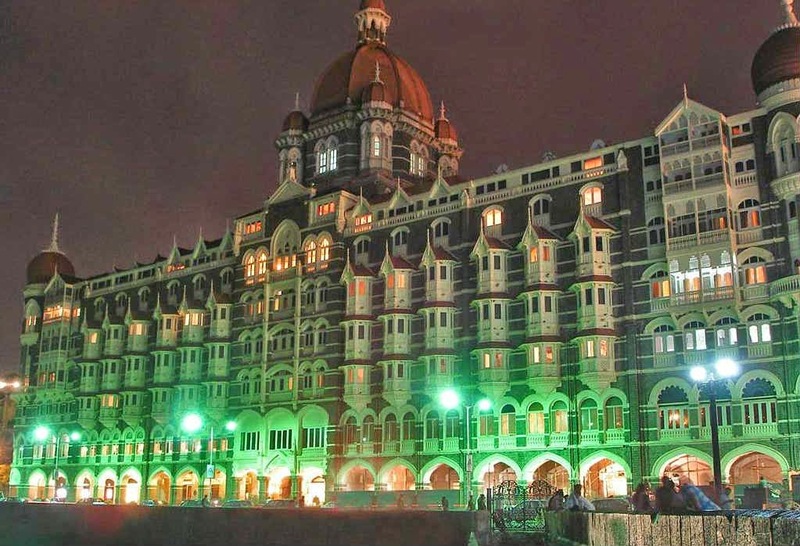 There were about 450 people staying in the Taj Mahal Palace Hotel who were taken as hostage during the attacks. Indian commandos killed the gunmen barricaded in the hotel to end the three-day battle. 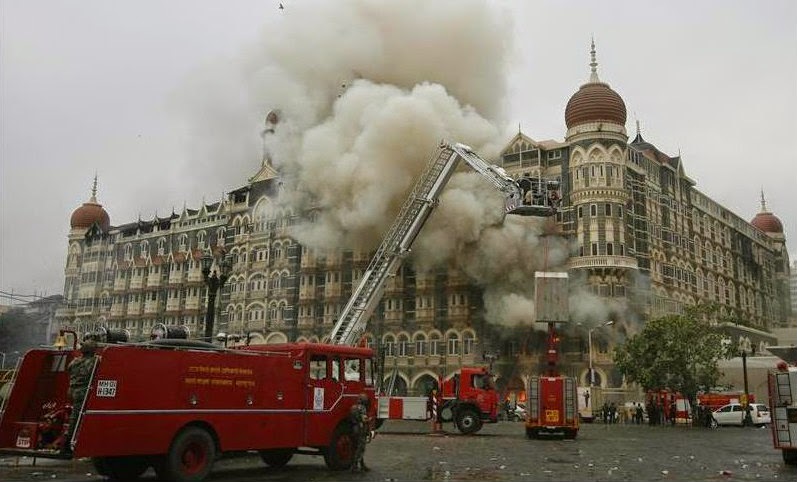 At least 167 people, including foreigners were killed in the attack out of which 31 causalities were reported at the Taj. The hotel was built again in a year, while the less damaged sections of the hotel reopened on 21 December 2008. On 15 August 2010, India's Independence Day, the Taj Mahal Palace was reopened after restoration. According to a popular belief, W. A. Chambers, the engineer who later took over after the death of Sitaram Khanderao Vaidya, the chief architect went back to his country after designing the hotel in 1903. When he returned from his vacation, he discovered that the monument has been built in the opposite direction, with the courtyard facing inwards, away from the sea. It was very shocking for him when he saw that the hotel was actually built back-to-front. He had approved the architectural layout when he was on vacation without noting the direction the structure was facing. Chambers realized his mistake and jumped to his death from the fifth floor of the building. It is believed that his ghost still haunts the old wing of the hotel. Hotel staff and guests claim that his ghost roams in the old wing of the hotel obviously still lamenting his misfortune. He is believed to be lingering on the corridors of the hotel, walking on the roof and sometimes even crying.